Home Eco Friendly Guide	EU's climate change goals to cost more than €1 trillion! EU's climate change goals to cost more than €1 trillion! The new climate change goals of the European Union are to be implemented over the next 14 years. And it would cost up to €1.1 trillion (£747bn)! – a new study says. The most comprehensive Investigating on the management of climate change economics in EU reveals a picture daunting. 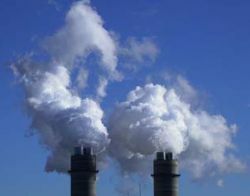 It plans to decrease greenhouse gases by at least 20% by 2020. On the basis of a balanced, sensible application of the most easily accessible technology, we’re calculating that the EU states will face annual costs of between €60bn to €80bn up until 2020. Though, the EU’s heads of state’s meeting on March 9 agreed on the bloc’s environmental goals, it did not discuss the way the costs and targets would be met. Germany wants to reduce its emissions by 40%. A detailed breakdown of the ‘potential costs’ for reducing carbon emissions across different sectors — from forestry to transportation — has been offered by a Cost Curve for Greenhouse Gas Reduction.